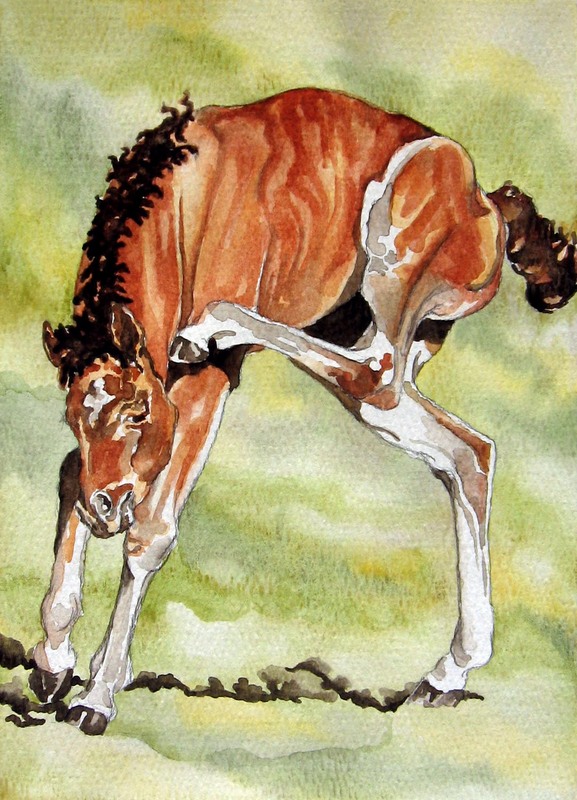 I found the reference for this little guy in the Wet Canvas photo reference library. The original photograph was taken by Cathy Sheeter. Thank you! Just got in from shoveling and blowing heavy wet snow around, hopefully, for the last time until next winter. Seasons are like interludes. Hope this storm was the final scene of the act of winter. Reference photo from Paint My Photo. My Granddaughter and I recently spent a Saturday, together, working on an art project. I am beginning a watercolor and rice paper collage class and my Granddaughter remembered that we had done this together once before. 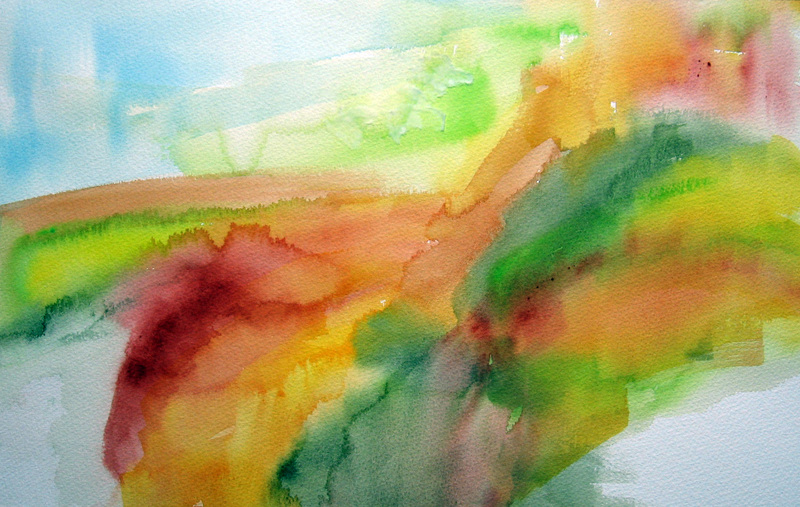 My intent was to begin with a cruciform design created with washes of wet-in-wet watercolor. Next, I experimented with different rice papers and tore them into strips and glued them to the surface of my paper, dividing my page into foreground, middleground and background areas. I made the glue from 3 parts acrylic matte medium stirred in with 1 part water. The glue should be runny, not thick. I am careful to not use too much glue in this process and try to keep it just on the papers. 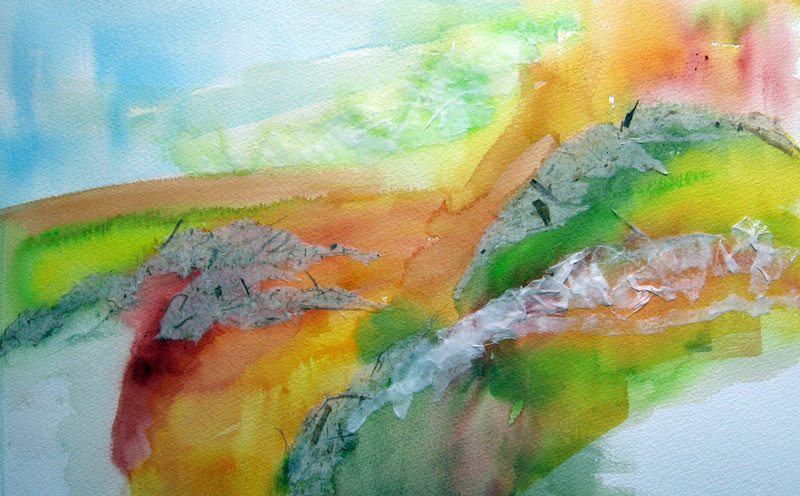 If it is allowed to pool in puddles around the papers, it dramatically changes the look of how the paint sits on untouched portions of the watercolor. paper. I wait for the paper to dry or dry it with a hair dryer prior to moving on to the next step. In the above step, I went back into the painting with color. I was careful to use colors I had already used in order to avoid too much muddying. I began to envision a large rock formation in the upper right quadrant. I could see a shape, in the distance, that could serve as another rock formation and enhance the depth of the landscape. 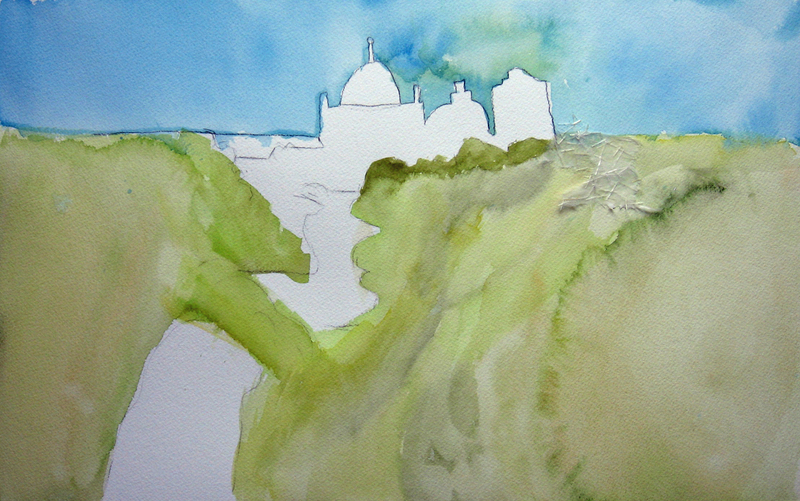 I knew I needed to develop a foreground and middleground for the distant rock formations. I mixed a dark from the greens and reds I’d used for my initial washes and began to carve out the lower edges of the rice papers. 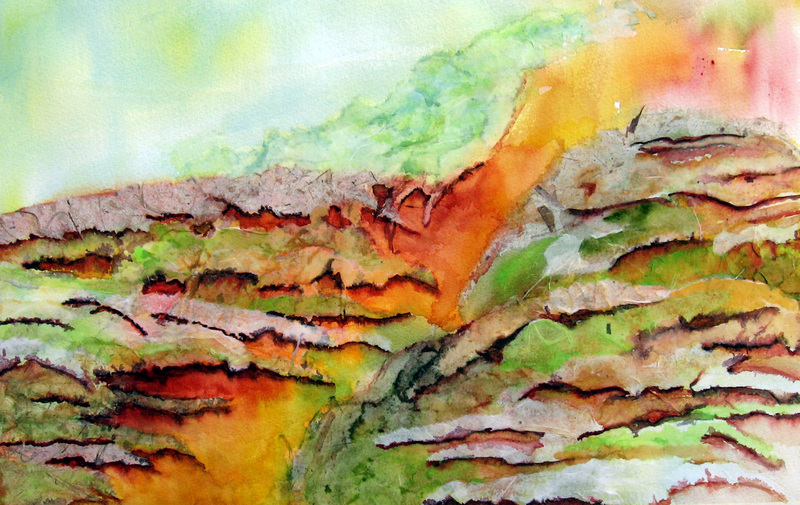 I did this in strips, thinking about the striations of rock. I allowed this to dry before moving on. 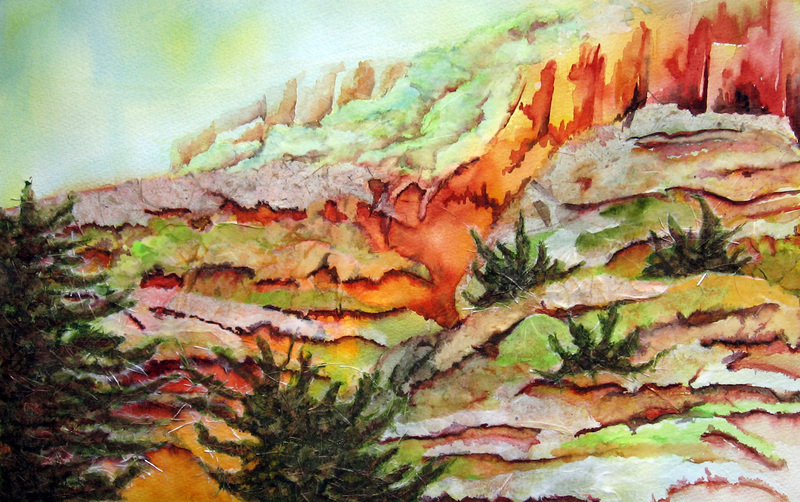 I painted in the two rock formations in the background and darkened the the greens between them. I decided the foreground area was too large and bland and needed something to enhance depth. 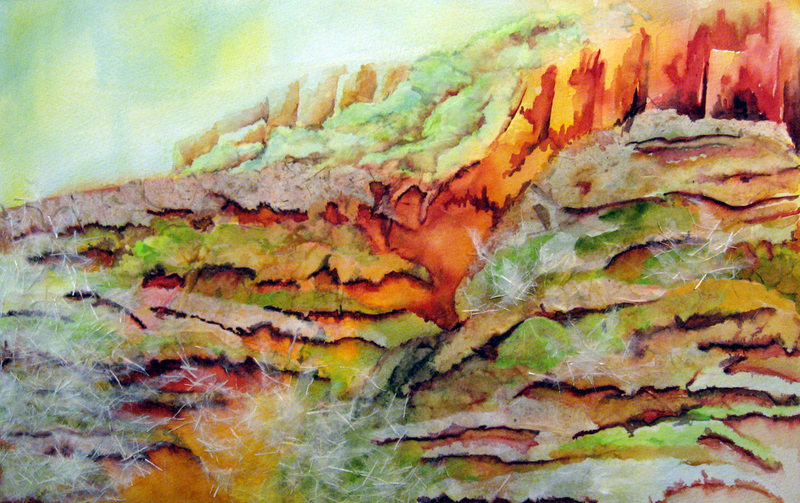 I glued down more textured rice papers in abstract tree or shrub-like shapes. You can see them, faintly in the foreground and middleground of this step. I again waited for the paper to dry. For the final step, I painted these shrubs and trees using my darkest darks, created from the reds and greens I’d used for lining the striations. 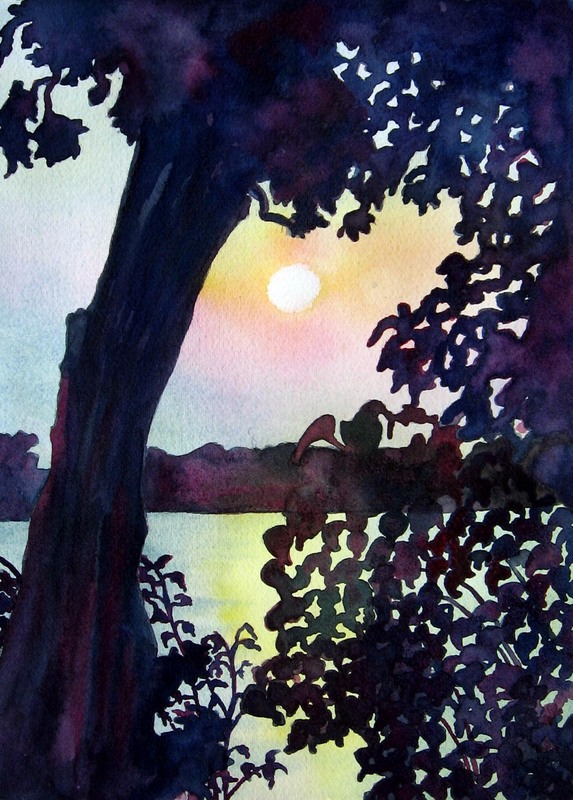 My Granddaughter liked many of Gerald Brommer’s compositions she viewed in his book on this subject. 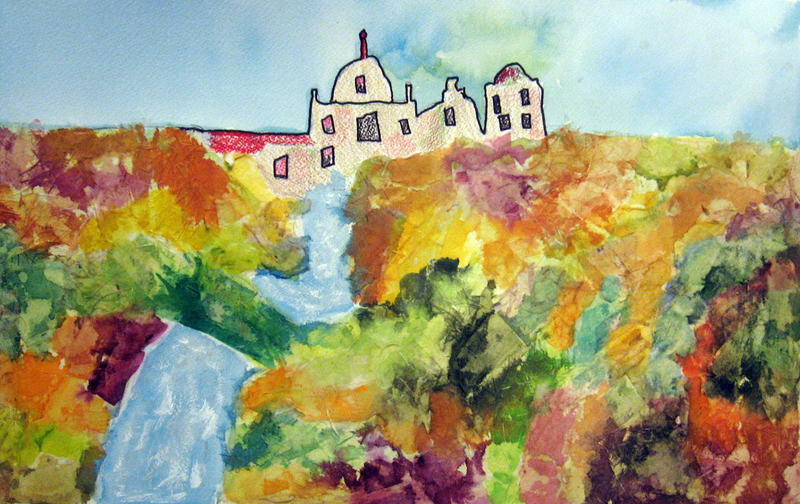 She decided to draw a distant house and paint and create a pretty colored foreground to the house. She drew her house and stream and painted large washes of greens, various shades, into the foreground. She painted her blue wash for the sky, and while the wash was still wet, dropped in some yellowy-green wash behind the house to attract attention to it. 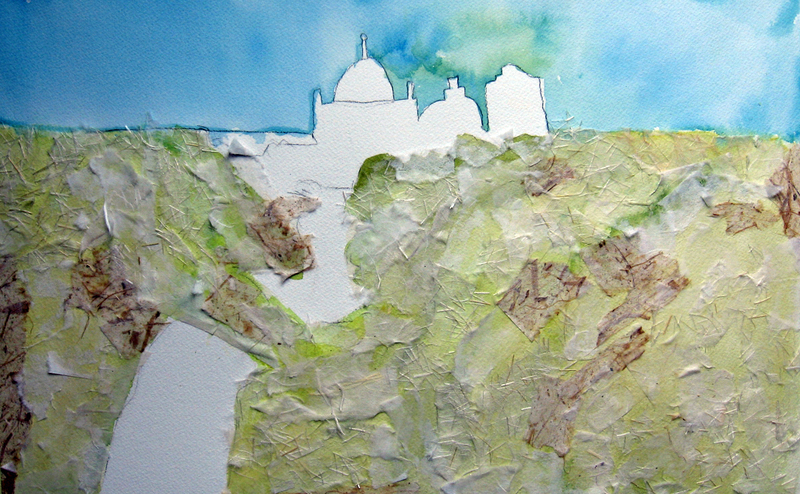 She then glued down all types of rice papers in torn shapes and glued them to her foreground green washes. She had more fun choosing all the different papers and glueing them down. She was pressed for time, so she dried this with a hair dryer. 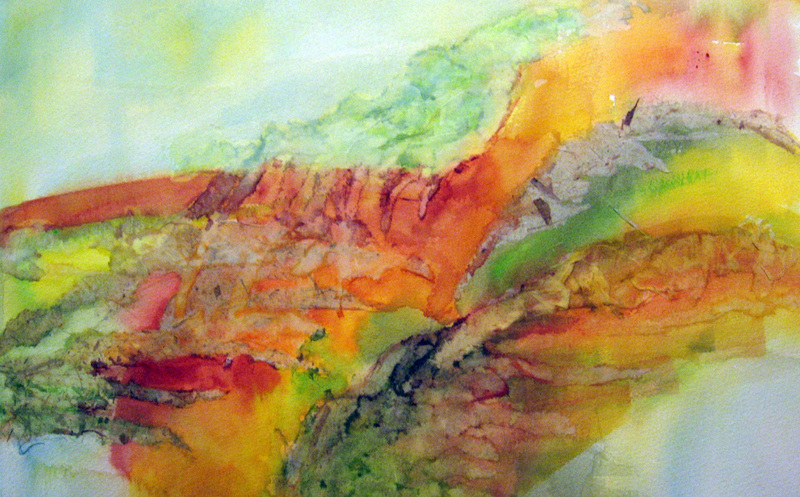 Then, she painted her foreground area with colors she chose from my palette. She painted in her stream and used colored pencil on her house in the background. Oh! She outlined the house and the windows with a black sharpie. My Granddaughter is seven. I am always amazed by a child’s ability to create. The above process takes time, so don’t rush yourself if you should try this. I enjoy the freedom and the shove to explore that the rice papers bring to a painting. More posts using rice papers can be found here.